UPDATE: The new single is now live on iTunes! Over the past few months, a number of people have asked if there would be a new song for WWDC this year, and I found myself wondering the same thing. Then, driving into the studio one afternoon, a song started to take shape somewhere between Mountain View and Palo Alto. So, I’m very happy to announce that there will be a new song this year. The new single is a fun, breezy tune with Hawaiian style—singing it always brings a smile to my face. Beyond that, I don’t want to give away too much more until folks can hear it for themselves. 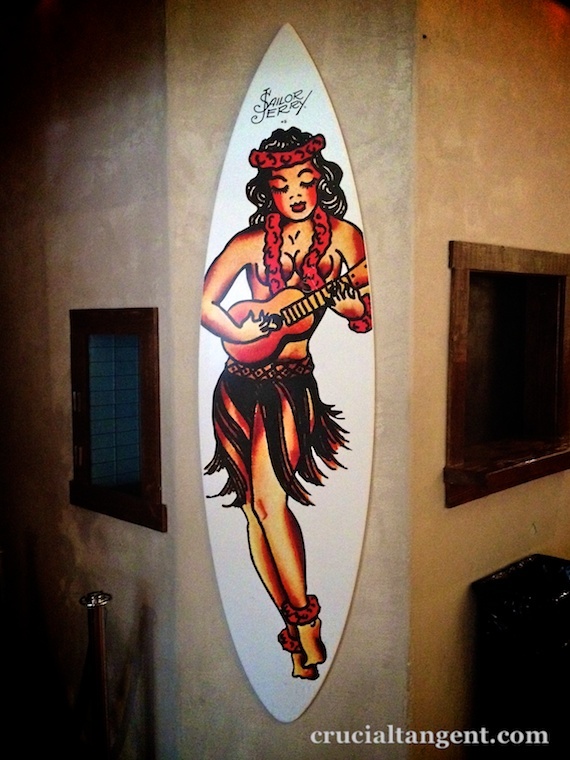 The show venue John Colins already has the Hawaiian spirit for the LIVE near WWDC 2012 show on June 13th. You can hear the new song, along with old favorites, at what we’re calling James Dempsey and the Breakpoints LIVE near WWDC 2012 on Wednesday, June 12th. I’ll have final and full show details next week. I’m really looking forward to a fun evening and playing the new song for everyone. Also, thanks to all the folks who have retweeted and passed the word along about the show. Another great event that week is the Looking Back at NeXTSTEP fundraiser for the Cartoon Art Museum. The sold-out evening will have many luminaries from the NeXTSTEP days in attendance, all for a great cause. I’m looking forward to attending the event as a sponsor, but I’m particularly excited, as well as honored, to be participating in the event as the special musical guest. So, amidst the talk of days before NSString and autorelease pools, attendees will hear the public performance debut of the new single, done as a very ‘unplugged’ version. Thanks to Dr. Michael Johnson for hosting the event, and for including me in the proceedings. WWDC week looks like it will be a fun and busy one with the live show, new single, conference sessions, and maybe best of all, meeting new folks and catching up with friends. I’ll also be taking requests during the week, so feel free to say hello—and no, we don’t know Free Bird.